Fall 2019 – MatLaw Systems Corp.
Cynthia and Tim are at the top of the field regarding Family and Divorce Law. Their level of experience in this area allows me to learn more from them than from other CLE courses. Dennis R. Vetrano, Jr. Esq. Invaluable. Entertaining. Informative. A must have for anyone in the field. Tim is not only a great teacher but an entertainer as well! His seminars are the BEST! Excellent focused seminar. Especially excellent regarding maintenance and equitable distribution analysis. Not going to the Ultimate Update is like going to court with both arms tied and duct tape over your mouth! Great way to get credits and all recent case law. As usual, a very informative and snagging presentation of pertinent topics in matrimonial practice. Tim and Ron are just so prepared and knowledgeable; they simplify even the most complicated topics. By ‘clear and convincing evidence’ it is in the ‘best interest of the matrimonial attorney’ to take Tippins’ Ultimate Update course. This annual event has become the program that family law practitioners wait for all year long. The one nobody wants to miss. For the past several years, Ultimate Update was “Sold Out” in several locations and we had to turn people away. This program has become so popular that we receive pre-registrations before we even publicize the event. 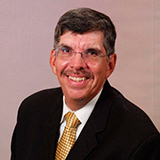 Ronald J. Bavero has been practicing in the field of matrimonial and family law for over twenty six years. Mr.Bavero is a highly experienced and respected trial attorney who has handled complex litigation in the various courts of this state. Presently, Mr. Bavero maintains a traditional matrimonial practice (The Law Offices of Ronald J. Bavero, LLC) and a Litigation Support Service Business (PREPMYCASE, LLC) through which he offers strategic litigation advice and trial preparation services to other attorneys handling matrimonial actions. Mr. Bavero has been listed in Super Lawyers as a top attorney in the New York Metro area in the years 2007 through 2012; Top Attorneys in Westchester (2007 through 2012);Martindale-Hubbell’s AV Preeminent Rating; Who’s Who in American Law and Who’s Who in Legal Educators. He is a Fellow of the American Academy of Matrimonial Attorneys. and family law. Since graduating from Albany Law School in 2010, she has been engaged in private practice focused on complex matrimonialand custody litigation and related family law matters. 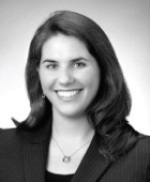 Ms. DeLuca is a member of the New York State Bar Association and the Albany County Bar Association. 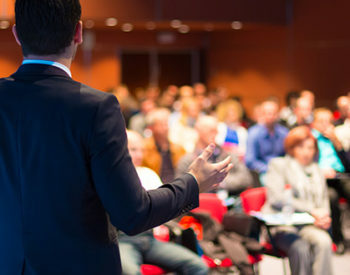 In addition to her practice, Ms. DeLuca has presented at a number of MatLaw Seminar-Publishing’s Continuing Legal Education Programs, and has guest lectured at Albany Law School.